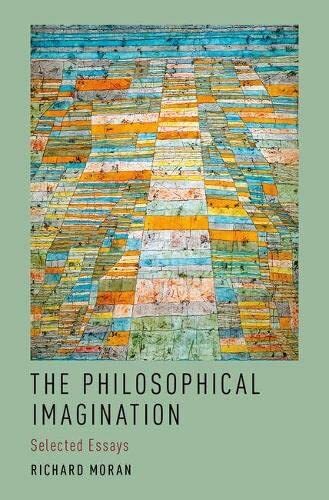 In The Philosophical Imagination, Richard Moran brings together a wide variety of essays that cover art, moral psychology, and philosophy of minds, as well as some essays that can be read as small monographs of contemporary philosophers. He segmented 16 essays into three parts: Art and Aesthetics, Reading of Contemporary Philosophers, and Agency and the First person. The first part explored the concept of imagination as more than just a capacity to imagine certain things. Moran understands imagination as an approach to life or a way of connecting. Imagination, he said, "Has less to do with simply imagining something to be the case, or imagining doing or feeling something, and more to do with what we ordinarily think of as 'imaginativeness.' It is concerned with the ability to make connections between various things, to notice and respond …"
To some extent, this explanation could serve as a methodological guide for most of the essay, in which Moran was making connections with art and other philosophers—as he did in the second part—such as Iris Murdoc, Stanley Cavell, Bernard Williams, and Kant. Moreover, certain themes are linked together, e.g., when Moran unfolds Murdoch and her critique of existentialism, he ends up writing, "The personality is already interested in the choice before one chooses, and when the choice is postponed, the personality chooses unconsciously or the choice is made by obscure powers within it." These ideas are clarified later, in the third part, e.g., in the essay Interpretation Theory and the First Person, where he states, "A future theory of behavior could do very well without providing a reason to eliminate reference to persons and beliefs in our relation to ourselves and to others." Furthermore, this idea is present in the essay called Self-Knowledge, "Transparency," and the Forms of Activity, where self-knowledge is indicated as "a form of 'transparency' where a person can tell us what they think about some possibility by reflecting on that possibility itself." Philosophical imagination emerges in the gap between what is conscious and what is unconscious, or what is real and what is fiction. In a way, Moran illustrates that the difference is blurry, which is why art and literature can affect us or enrich us just as powerfully as anything "real" in life. The essays in this collection are well written, they are accessible to non-academics as well as useful for academics—particularly in the area of aesthetics where Moran with impressive ease has blended Plato, Aristotle, and Hume, to clarify the concept of beauty in Kant and Proust. Moran's style of writing is not polemical, but educational, although he is never pedantic. He embodies that philosophical thinking takes time. Actually, he lives up to his own credo, when he says, "I am working in a tradition of doing philosophy that takes the work of reading to be as centrally a form of philosophical thought as any other, and not a substitute for the real thing." Personally, I found Moran to be a good companion to think with and to learn from. I will return to some of the essays, if and when, I will work with rhetoric, metaphors or art in a more classical sense.